Was music made to be deconstructed? I don't have the answer, but Stars of the Lid do. From one 15-minute song to the next, formless melodies after another, relying on only their own pulses, one can't help but question why this sense of vitality is pretty hard to find in contemporary music today. Upon contemplating what we imagine a successful musician to look like, we'll probably picture one of the pioneers, the founders of an idea trickling down to today's music. You might picture Justin Vernon (a more recent example, but still influential.) Your father probably imagines Jimi Hendrix, and your grandparents may think of Johnny Cash, both pioneers in their own right. Regardless of who it is, though, our stereotypes about the influential musician taint the way we regard true innovation. The greatest music isn't pushed together from apathetic-at-best Hollywood sound engineers, but is instead nurtured from musicians placing their trust in their art. Those writing with passion connect with us, the patient listeners. And more often than not, it's because we're looking for something more gripping than ourselves, a reality more alluring than the inconsequential murmurs of our everyday lives. A sense of purpose to inject here and there. Ambient darlings Stars of the Lid are aware of the importance of intent. The duo's breathtaking music knows why it exists, and so it fulfills its destiny as best it can, by infusing color into one's surroundings. Every pulsating synth texture, and each string both labored and natural, somehow: all of the music's elements are meant to heighten the senses. I discovered the drone-heavy group while studying for finals, and I noticed everything falling into place, all the accounting formulas finally making sense like they never quite had before. It was almost as if the music was rearranging all the messy bits of my life, one by one, and reassembling them as if the solution were obvious. It's the sensation one gets when discovering something astonishing, and it's we're all pining for in life. Ultimately we want to feel everything in harmony, the impenetrable feeling of nothing being worth worrying about. I'd even venture to say it's why you're reading this, a haughty blog post on a music discussion website. Perhaps you've been missing the infatuation your first CD provided you, or the euphoria from your last concert has been unmatched for far too long. Whatever the case may be, though, there's a way to access that distant feeling again. 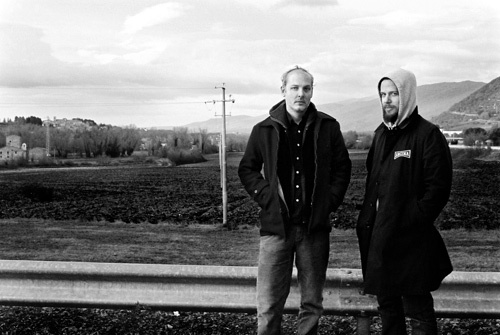 Meet Stars of the Lid and Their Refinement of the Decline. Ambient drone music can be daunting without prior experience. Needless to say, when I found out Stars of the Lid's seventh album was two hours in length I found myself a little anxious. After all, it's a lot of time in which mistakes can be made. However, the album's as much of a breeze as its laid-back artwork. Each song sprawls itself out over ten minutes, maybe twenty, and pulls off the seemingly impossible feat of luring the listener in throughout the listen. The music's a stunning arrangement of chords working in unison, swelling and then dimming, but only to repeat the cycle again. It's an alluring repetitive quality, though, one capable of working in various ways for the listener. MuzikDizcovery's very own Jonny Hunter once described ambient music as a style of music working whether actively or passively played, and I can't disagree with him. Stars of the Lid and Their Refinement of the Decline can be a soundtrack to your study sessions, or it can accompany you into your thoughts as you drift to sleep. Either way, though, your life will appear a little different to you. Perhaps minute things, positive things, will become easier to notice, or maybe the shittier stuff will seem less important. Either way, though, you're in for one incredible change. Follow Stars of the Lid on Facebook.